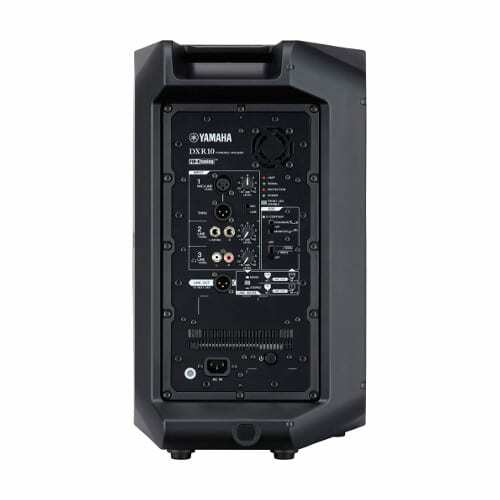 The DXR10 10″ 1100W 2-Way Active Loudspeaker from Yamaha provides clear audio and high output levels in a compact and durable design, ideal for live sound applications. 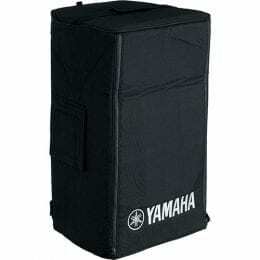 The cabinet has a rugged ABS construction with a bass-reflex design for enhanced bass performance with reduced turbulence. 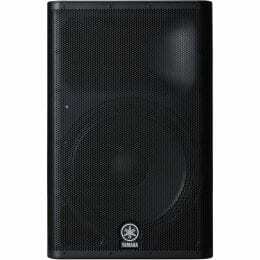 The 10″ woofer and 1.4″ compression tweeter offer high-resolution audio with a wide frequency response. 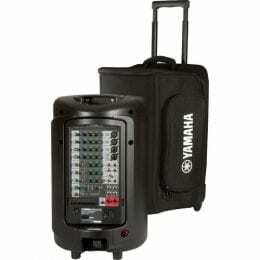 The crossover uses a FIR-X linear phase filter to optimize driver performance. 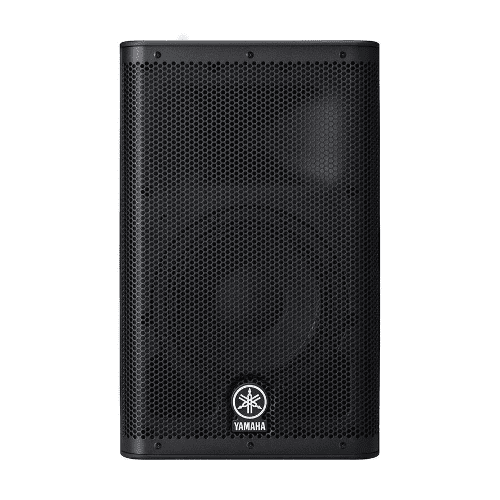 The speaker has a biamplified design that provides a combined peak output power of 1100W for a strong performance with minimal distortion. 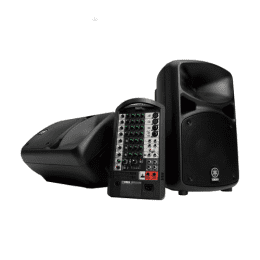 A D-contour processor allows you to use the speaker as a main/FOH speaker or as a stage monitor, while an onboard mixer eliminates the need for an external mixer. 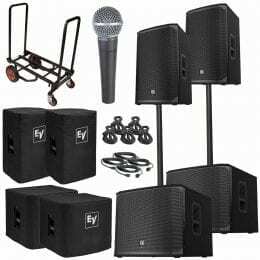 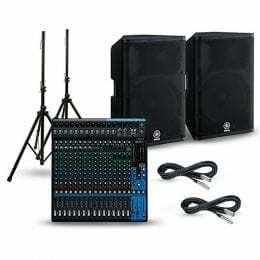 The rear panel has XLR, 1/4″, and RCA inputs, as well as XLR thru and output connectors for wide compatibility with a variety of professional sound systems and devices. 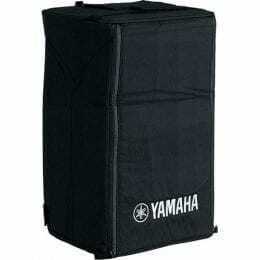 Box Dimensions (LxWxH) 25.0 x 15.0 x 15.0"